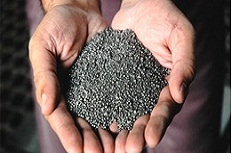 The DCM group set up a Grey Iron Foundry in 1977 with a capacity of 17000 MTPA (Metric Tons Per Annum) as Division of DCM Engineering,which is a division of DCM Limited. Capacity of this foundry was increased to 35,000 & 50,000 MTPA in the year 1994-95 & 2005-06 respectively. Recently, this capacity has been increased to 72,000 MTPA. 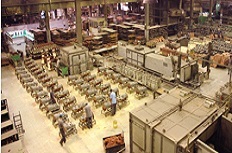 This foundry is one of the leading foundries in India, in the segment of Automotive Castings. DCM Engineering is supplying castings across all segments in automotive market: car, multi-utility vehicle, tractor, light commercial vehicle, heavy commercial vehicle and earth moving equipments. DCM Engineering is also exporting consistently for last 10 years. In domestic market DCM Engineering is associated with top automotive players: Maruti Udyog, Hyundai Motors, Mahindra & Mahindra, International Tractors Limited, Ashok Leyland, Eicher Motors, Escorts, Swaraj Mazda, JCB India, Force Motors, Simpson & Co and many more. Its association with international customers includes GM-Daewoo, Korea; General Motors, USA; Perodua Perkins Motors(Subsidiary of Daihatsu Motor Co., Japan), Malaysia; and Hepworth Heating, UK. 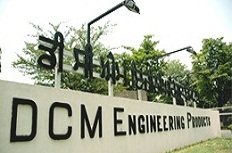 DCM Engineering employs more than 1700 people at its manufacturing plant at Ropar, Punjab. At its Ropar plant company houses two high pressure moulding lines with press pour, state of the art tooling & designing facility in addition to other supporting processes and equipments.